When a woman shows up with a young girl asking Logan to help get them to North Dakota, he initially declines. He doesn’t care about anyone. He just wants to buy his boat and leave. She offers him a substantial amount of money that he can’t refuse. But before he can help, the woman is murdered leaving the girl stranded and chased by a secretive military-esque team led by Pierce, played by Boyd Holbrook. There’s more than meets the eye with this young girl named Laura and Logan eventually starts to feel protective of her. The film is the first time we’ve had an R rated Wolverine film (or X-Men film for that matter, if you don’t count Deadpool) and it’s surprising it’s taken 17 years for it happen. The violence is brutal but works really well (and makes sense with Wolverine’s claws). The language didn’t bother me but it was a little weird hearing Xavier say the “F” word in the beginning of the movie. It felt out of character but he’s not exactly himself in that scene and, in fact, chides Logan for using language later in the movie, which was funny. The acting in the film is fantastic. There’s been some talk of Oscar buzz for Hugh Jackman and while it’s nice thought, it’ll never happen. Logan might get an Oscar nomination in a technical category but it’s March release makes it virtually disqualified for the big categories. Movies released early in the year are basically forgotten by Oscar season. Let’s hope I’m wrong. The film isn’t flawless but it’s pretty close. The villains aren’t the strongest although Boyd Holbrook seems to be having a lot of fun with his character. The movie also felt a tad bit long. It’s run time is 2 hours and 17 minutes according to IMDb, but it felt more like 2 and a half hours to me. I’m basically being nit-picky though. It’s definitely a movie worth seeing and it’s easily the best solo Wolverine movie we’ve had. I’m not sure yet where I would rank it amongst the rest of the X-Men films but it’s a good bet that it’d be near the top. 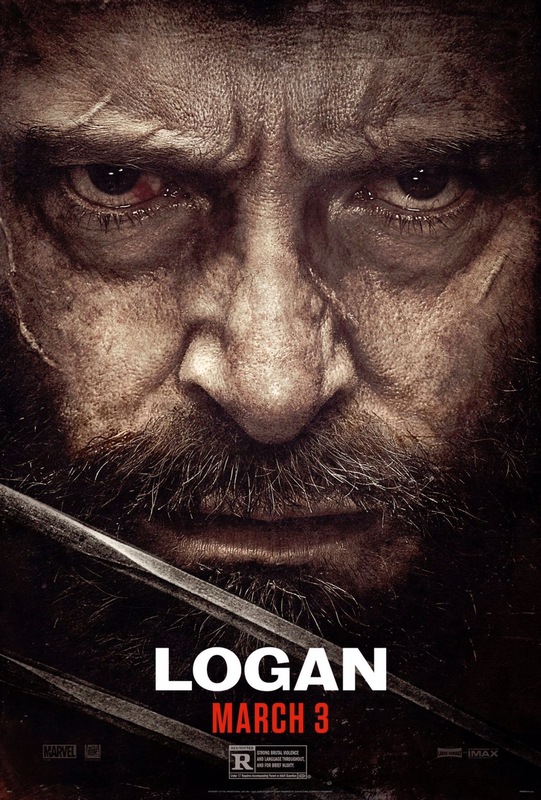 This entry was posted in Reviews, Uncategorized and tagged Hugh Jackman, Logan, Review, Wolverine, X-Men. Bookmark the permalink.